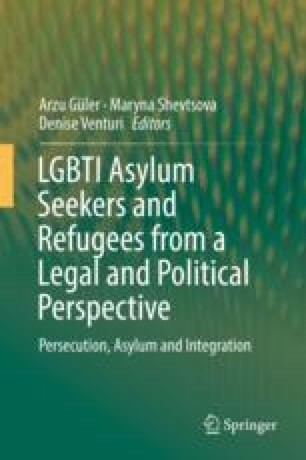 This chapter explores Irish law and policy in respect of lesbian, gay, bisexual, trans, intersex (LGBTI) asylum claims. It investigates the outcomes of LGBTI claims, specifically looking at the growing body of case law within the last 10 or so years from the Irish High Court on the assessment of core elements of asylum claims based on sexual orientation and gender identity such as State protection, persecution, credibility and the assessment of risk on return. Twenty High Court decisions between the years 2006 and 2017 are analysed, in the first instance to determine the extent to which these decisions are compatible with international best practice guidelines. Secondly, the case law is analysed with reference to the impact of the concepts of fair procedures and constitutional justice on the outcome of LGBTI claims, in order to offer guidance to decision makers in the assessment of such claims, and to further inform the ongoing trans-judicial dialogue on the correct approach to assessment of asylum claims based on sexual orientation and gender identity.